She is quiet, petite, elegant — and one of the most talented designers you will ever meet. Canadian needlework artist Anna-Marie Winter creates stunning embroidery out beads, silk, metallic and real metal threads, makes greeting cards you want to preserve and frame, and shares her expertise with students all over the world. She is also one of the nicest people you will ever meet, one who makes you feel like an instant friend. Q: Where did you get the inspiration for the Tree Jewels design? A: The idea for the Tree Jewels came from a guild workshop. My friend was working on a needlepoint ornament that had a narrow band of Blackwork along the center and pulled thread stitches on either side, all worked in perle cotton. I was fascinated by the way in which the halves seemed to mold so easily over the Styrofoam ball but less enthralled by the way in which the color from the perle cotton bled into the surrounding canvas when wet. The technique also reminded me of the stretchy smocked tops I saw in children’s clothes at the time so I started playing with various fibers and stitches to try to create a similar effect. When I combined the Kreinik metallics with a simple pulled Upright Cross stitch for the first time the effect was amazing and that experiment became the first of many Tree Jewels. Q: You have taught the Tree Jewels in various places and in fact the instructions are written as if you were right there with the stitcher, teaching and guiding them. Can you share any classroom stories? A: Most students love the project because it can be stitched and finished in the workshop. There is one story that stands out above the rest. During the first day of class the students all work at completing the two halves of the ornament, so that the next day they can complete the ornament by blocking the halves, beading and applying the trim. I usually announce that if a student had completed an ornament by the next day of class, I would finish it for them in class. One student lost her reel of red metallic thread on the way home with only three rows of stitches remaining to complete the ornament. She found a length of red wool that matched the metallic thread and used it to complete her remaining rows. She was very proud of her accomplishment, being first in class to have the work completed and commented that she would put the "wool side" facing the tree and display the good side "out". 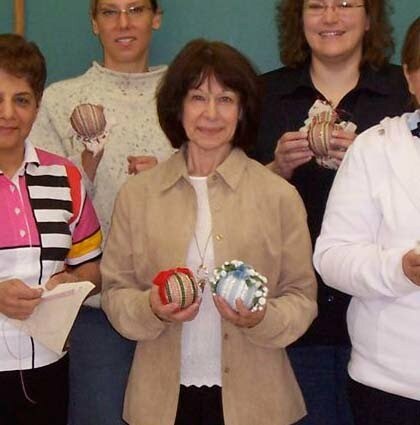 I used her ornament in class to demonstrate the finishing techniques and effectively hid the wool behind the trim. Q: Your instructions say, “This is one of the few canvaswork designs where it is recommended that you have fun with your stitching while you break all the rules.” That sounds fun! But what do you mean? A: When stitching a Tree Jewel, many of the rules in canvaswork are broken mainly to make the work more enjoyable and to allow the form to mold properly over the canvas. The canvas is worked in hand, not on rigid stretcher bars. Working on stretcher bars will not allow the canvas to mold properly. The knots and tails are not worked neatly on the reverse side of the canvas, but are left on the right side of the canvas as they are cut off during the finishing process. The canvas can be rolled and kept in a plastic bag in your purse or pocket, so the project is always on the go in a waiting room or taking the bus to work and where you would never submerse your traditional needlepoint in water, a Tree Jewel is "born" under a running faucet. Q: Is there a frequently asked question about the Tree Jewels? A: The most frequently asked question is whether the size of the ornament can be reduced or enlarged. 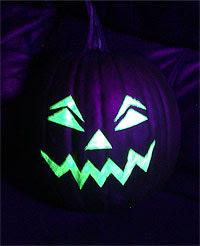 It can be reduced to mold over a smaller Styrofoam ball or enlarged to make a much larger "kissing ball". The design is easily adaptable to variations in size. Q: We love the portability of the project. It would be fun to know the various places where a Tree Jewel has been stitched. A: I'm not sure where other people have stitched their Tree Jewels, but I've worked many at soccer games, in airport waiting rooms, on airplanes using plastic needles, at the doctor's office and on long car trips. I found that the zip lock bag was an invaluable tool in completing many projects. Q: The finishing is fabulous - in part because it can be done at home, inexpensively. Any tips or suggestions on doing the finishing part? A: One tip that I would like to pass on is to choose the finishing materials carefully. The stitcher has put a lot of time and effort into the stitching, but using the wrong ribbon or trim can take away from the elegance of the ornament. Using a high quality velvet ribbon for example, rather than a cheaper flocked craft ribbon, makes a huge difference in how the ornament will look when completed. Q: Are you working on any new designs right now or currently teaching? Where can stitchers buy some of your other designs? A: I am currently working on two projects, a small Christmas stocking that is a continuation of the Women of Government House project and a larger design called Summer's End, which is a design of a butterfly on grass that was created from a number of photo images and transferred onto canvas. I do teach a number of online classes through my website and www.BedeckedandBeadazzled.com. My teaching pieces and classes are listed on my website www.annamariewinter.com. Friday, October 8, 2010, I spent the day at West Virginia University’s School for Fashion and Merchandizing in Morgantown, WV. I am on an industrial advisory board that is designed to help the department in rewriting and orienting the curriculum so that students have a greater opportunity to get a job in their field. In one year, the school has made great strides. They recently acquired a computerized sizing device which takes hundreds of quantitative photos and measures the body for fitting. They now have professional sewing machines from Juki including a buttonhole machine, button attaching machine, overlock, serger and more. Also, the school recently set up a master and a doctorate program. I don't particularly care for pumpkin carving. It's just too darn messy. Sure you can try to roasting the seeds and making a pie, but at the end of the day you end up with a "one-and-done" decoration. Toss in the fact that in colder climates these darn things are apt to rot on your front step before Ole Hallows Eve even gets here. 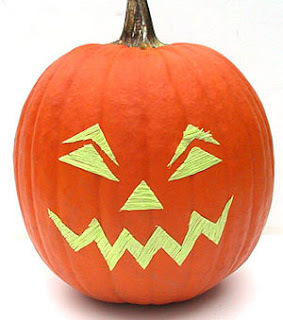 What if you can "SAVE" that pumpkin from such invasive carving procedures and use it for both Halloween and Thanksgiving without the colossal mess? Now you have my attention. The following project needs only a few simple items to let you save your pumpkin from unnecessary invasive carving procedures. Oh, and my Jack is waterproof! Click here to view and print the instructions for this project. You will need the FREE program Adobe Reader to view and print this document. What would you do with a holographic thread? The colors are cool, the possibilities are endless. So let's get down to specific suggestions for where to use Kreinik holographic metallic thread colors. The threads come in 16 colors in Kreinik Blending Filament, Very Fine #4 Braid, Fine #8 Braid, Tapestry #12 Braid, Medium #16 Braid, 1/16" Ribbon and 1/8" Ribbon — which means you can use these colors in any way, from needlepoint and cross stitch to crochet, knitting, fly fishing, paper crafts, quilting... Check out the holographic color range here: www.kreinik.com/holographic.htm. Thanks for all of the great suggestions! If you have created something with the Kreinik holographic threads, send us photos. We would love to see your work. 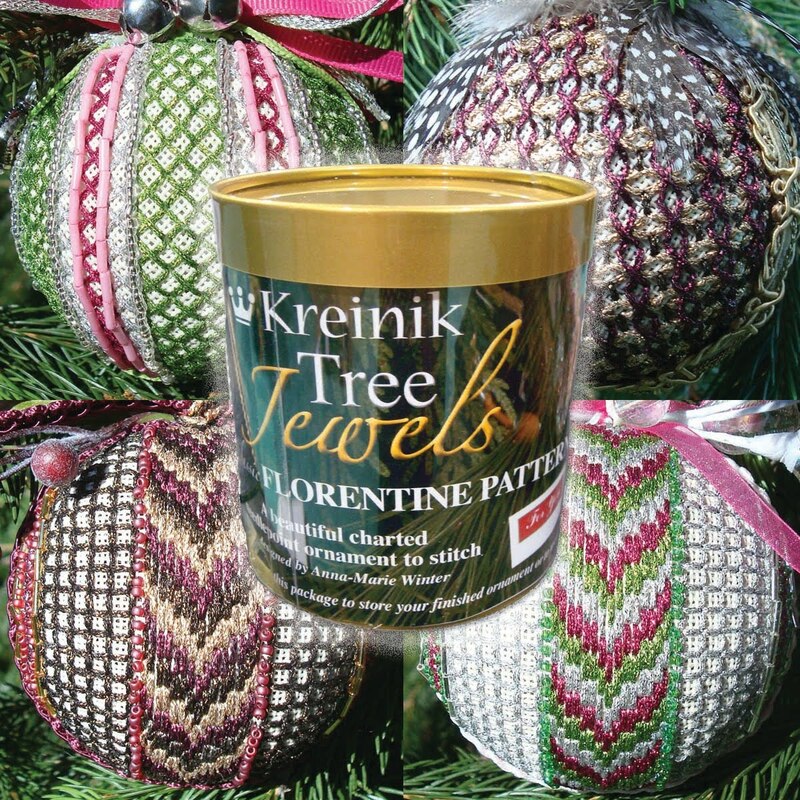 Email info@kreinik.com. The holographic threads are available in needlework stores; visit www.kreinik.com/locator to find one near you, or visit www.kreinikmall.com.